1 Akwa Ibom State University, AKSU, How To Pay Acceptance Fee For 2018/2019 Academic Session, For fresh students. 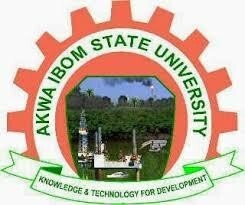 Akwa Ibom State University, AKSU, How To Pay Acceptance Fee For 2018/2019 Academic Session, For fresh students. All newly admitted students of Akwa Ibom State University, AKSU is hereby informed that the management has given a laid down procedure for them to successfully pay for their acceptance of admission fee, 2018/2019 Session. the Payment Deadline is on Friday, 7th September 2018.
i. kindly click on http://www.portal.aksu.edu.ng. ii. Then, Click on ‘Register Now’ button. iii. You Click on ‘Admission’. iv. Then choose ‘Bio Data’. v. Enter your JAMB Registration Number and click ‘Verify’. vii. Print the pre-analysis slip and take the slip to the Bank and make payment using the e-transact platform. b. Then click the “>” sign on the right end of your screen. c. Fill the Bio data form to obtain an access code which will be used throughout the duration of your study.Keep the Code SAFE.